In a tale full of suspense, surveillence, interrogation, secret meetings, and covert conversations, artist Tea Tupajić describes the 2-year process of devising a new performance work in Tel Aviv, which involved Mossad and Shin Bet officers. A new essay in Tohu Magazine: we recommend reading it in one sitting. Did You Ever Learn Anything from a Spy Movie? It is 2013, a hot July day, and I am entering the heavily air-conditioned Ben Gurion airport. I have come from Jerusalem. The purpose of my trip to Jerusalem was a presentation of the issue of the magazine Frakcija I had edited, elaborating the concept of the immunity of art. It is a concept I created out of dissatisfaction and boredom with the status and possibilities of art in Western societies. It seemed to me that anything that one does in art is always only art. The freedom of speech given to art has made it a sphere into which all critical, subversive operations have been displaced and thus paralyzed. What I called “the immunity of art” uses this weakness as an advantage and explores the grey zone between art and law/crime. I was asking: which subversive actions can be performed only because they are framed as an artwork? I am standing in the queue, waiting for the security check. At some distance I see a young woman and a young man walking towards me. As they approach me they take me out of the queue and ask me to come with them. After the introductory questions - name, where I am going - they ask: "What is the purpose of your trip?" Unaware of the level of the security check, I answer, absent-mindedly, what I always answer when going through security checks on entry to the US. I say: "I am an entertainer, an artist". What follows is a two-hours-long interrogation executed by a total of five different-ranking and rotating officers. We speak about my whearabouts in Israel, my family's religion, but mostly about the immunity of art, which they find simply by googling my name. About the latter I speak with a pleasant man in his 50s, who offers me a lemonade. We discuss whether Andre Breton’s surrealist gesture of taking a revolver and shooting blindly into the crowd could be appropriated by terrorists. They are alarmed when we speak about a subversive action disguised as an artwork. We agree that 9/11 cannot be considered an artwork, despite it's visual spectacularity. We speak about Julian Assange’s statement about China, where he says that the only hopeful societies are the ones that censor art and media, because they fear change, which means that a change is still possible. The West fears nothing, because nothing can change. The officer finds an article about my performance The Curators' Piece (a trial against art) (2012), in which I invite international curators to a fictional trial against art. I accuse art of not saving the world, of losing every opportunity to affect reality on any level. The older officer, whom I have started seeing as my confidant, says that it's strange to expect such salvation from art, especially for an atheist. Because they can't find anything and because I am about to miss my flight, they perform a body search and let me go. On the flight to Munich I keep thinking about the airport experience. I clarify two things that thrill me about it. First is the palette of methods and performative skills they used in the interrogation. Second is that after a long time it felt like something real, like being an artist means something serious. I imagine a performance that deals with the artistic methods applied in the work of an intelligence officer. It would be a durational performance/ installation with five Mossad or Shin Bet officers, each of them in a different room, each demonstrating a specific skill. All scenes would be formatted as immersive situations, they would include the audience as participants. There is an important thing that stops me from even thinking about realizing this project. I come from Sarajevo, the sexiest of all tragic cities. I've always mistrusted foreigner artists coming there, inspired to tell our story. It is a story that overshadows my childhood, the story that convulses the muscles of my grandmother in her panic attacks, the story that haunts the nightmares of my father. It felt almost like a theft. What right do I have to parachute myself to another continent and steal stories that belong to another context? When, after a few days, I do decide to go for it, I give myself two rules: you will not capitalize on the suffering of others and you will not make any neutral art (I wish I were in a Godard movie and that I could say his sentence, "Art is like fire. It is born from what it burns."). In September 2013 I move to Tel Aviv. It takes two years to find five officers willing to participate in the work. I will not elaborate on the obvious difficulties of the process. It is a price you pay for the real thing. I am forever thankful to Leah Abir, Omer Krieger, Yael Cohen, Eyal Vexler, Yair Vardi, Paz Ben Nun and to all those who choose not to be mentioned, for their courage and wholehearted support. The condition of participation is the same for everyone. No documentation, neither of the process nor of the final performance. We work individually and the participants don't meet before the final event. They choose the places where we would meet. I ask them to choose locations that most resemble the locations where they usually work. Tea Tupajić. 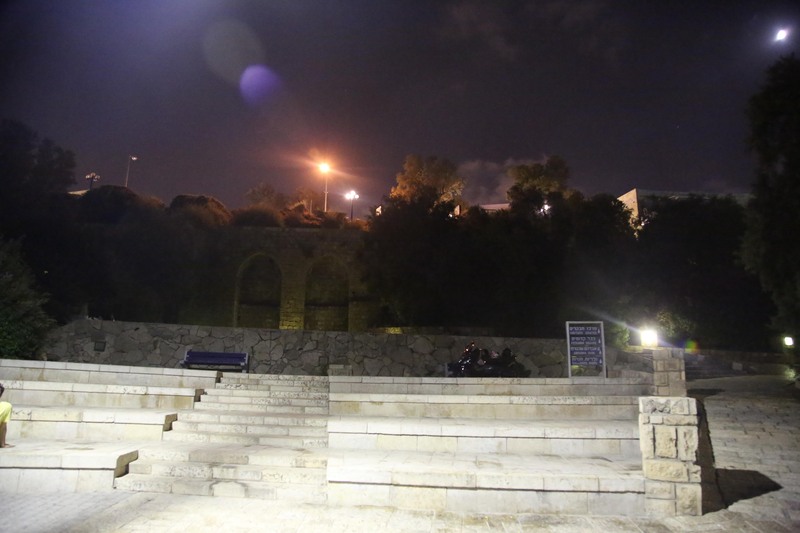 Yaffo, Summer and Fall 2015 with O. 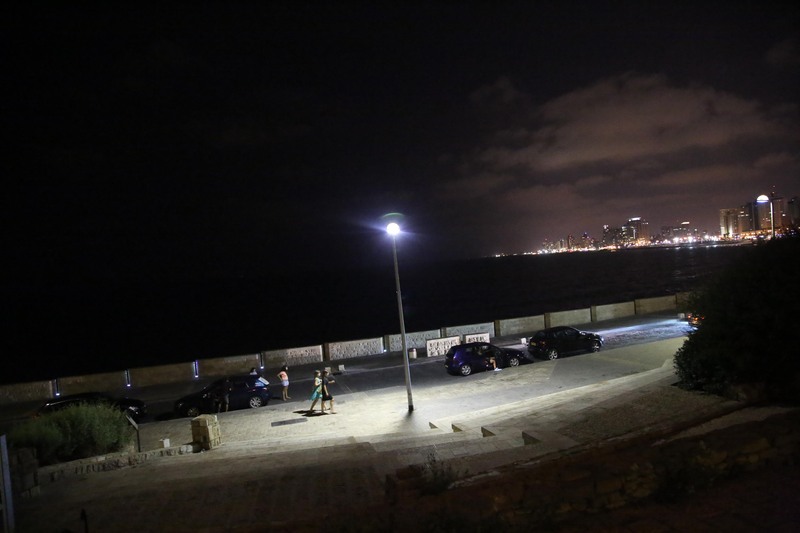 It is July 2015 and I am sitting with O. in Yaffo, near the sea. We speak about the airport incident. He describes the hunt for terrorist as a constant game of chess with the enemy. You have to think outside of the box, like them. You never know what the next terrorists would look like. Who could have expected that Japanese "tourists" would take weapons out of their violin cases at the Ben Gurion airport in 1972? O. says: "With you it is the same. You look like a European, but you don't behave like one. You are young, but you are smart. You are not nervous, but you should be. It's like something about you just doesn't add up. I think you are a bit like an alien. You just don't fit anywhere." Tea Tupajić. Metsada, Spring 2014 - Summer 2015 with D., always early in the morning. This is a question I have been asked so many times. Since I didn't have an answer, I asked the participants. Their answer was clear. They saw it as an unconventional army parade. Usually only weapons and soldiers were exhibited, and this was a rare opportunity for the Intelligence to show their skills. They say that if I were Jewish, the state would have employed me to do this every year. And also, as D. adds: "We have nothing to lose. Because it is only art, when we are in the performance, anyway everyone would think we are actors. No one would believe that we are real." Five days before the premiere in Tel Aviv I get interviewed by a Haaretz journalist. The interview lasts for nearly two hours and he seems to be fascinated by the project. On the day that the interview is supposed to be published, the journalist calls Yair Vardi, the curator of Tmuna Festival, saying they have decided not to publish it, because it cannot be true. These cannot be real agents, they are for sure just actors. He asks the curators how can they be sure that I am not lying to all of them. The article was never published. On the first meeting with each participating officer I felt the same mixture of confusion, curiosity and suspicion, like in the interrogation experience at Ben Gurion Airport. Maybe O. was right; maybe I am like an alien. I believe that it would not be possible for an Israeli artist to execute this project. It had to be an outsider, an empty canvas without a clear position or interest, someone who didn't fit in any box, someone onto whom the participating agents could project whatever position they wanted. The first time I meet Z. we are in his office in Jerusalem. He is a man in his 60s, who greets me and uses a very unusual opener. He says: "You know what I really like about you Yugoslavs? Your anthem is the only anthem in the world that mentions the traitor." I say: "Damned be the traitor of his homeland." Throughout 2014 I travel many times to Jerusalem just for meetings with him. We never speak about the Shin Bet. All he does is recite poems in Arabic. He says that if he ever agrees to participate in the performance, his scene has to be called "The tongue is sharper then a knife." Overall, what he likes the most about my project is that I have decided to use the motto of the Mossad, "By Way of Deception Thou Shalt Wage War," as a title. The emphasis is rightly on using deception, instead of weapons, as a more intelligent and humane way of warfare. For instance, the greatest progress intelligence methods have made was during the Cold War, the same war that had a significantly lower number of causalities then any other. Intelligence agencies are humane. He speaks about the service in the 1970s, when the Shin Bet, to build a bond with the local population and to surveille them, had to learn the stories and histories of the Palestinian villages and towns, and the families that lived there. Slowly, throughout the decades, the huge corpus of the oral history and heritage of Palestine has been written down by the Shin Bet. He jokes that every Palestinian village should have a library of the Shin Bet. Tea Tupajić. McDonalds, Summer and Fall 2014 with G.
I always wondered why people do trust them. They are all "nice, well mannered boys". They all wear white, ironed shirts. They never smell of perfume, always only of fabric softener. It reminds me of what I’ve learned from G. about how to be an Arab: never wear perfume, but instead smell of sweat and fire. Tea Tupajić. HaCarmel, May 2014 - July 2015 with R., mostly on Fridays. "We both create something that doesn't exist. We both make reality. Except that you, unlike me, can allow yourself to fail. "- says R. while we eat bananas in Shuk HaCarmel, on a busy Friday morning in the fall of 2014. 1. Being an artist is a good cover story: in a real event, the one Ben Affleck’s "Argo" is based on, the CIA used the most far-fetched cover story for the agents to enter Iran. They pretended to be a film crew, shooting a sci-fi movie. There is nothing more benign and harmless then a filmaker. Or an artist, for that matter. 3. 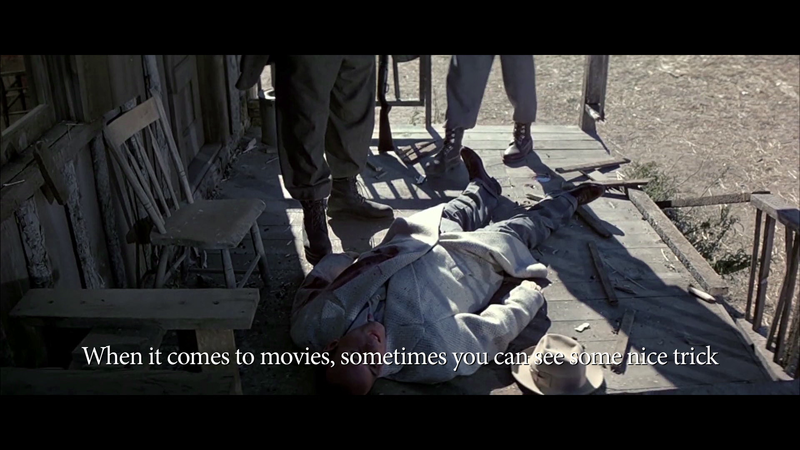 Cross-influence to and from the fiction - not only are intelligence operations among the most spectacular inspirations for films and literature, but it is also vice versa. For example, it is well-known that the CIA has a section dedicated to following spy movies and literature in the search for possible inspiration. Tea Tupajić. Ajami, Summer 2015 with O..
O. says that it is a shame to do a spy project without any action, so he shows me how to perform a 360-degrees car spin, in a parking lot in Yaffo. We stop in Ajami to buy meat at a local shop. He speaks Arabic to the salesman, and lies that we are from Nazareth, just to get through a queue. As we sit in the car he says: "You know what your problem is? First of all, you think that I am stupid. Second of all, you think that just because you are an artist, everything you do, even going to the butcher shop with me, is art. That's stupid. It would only be art if you watched me, and had other people watch me, while I, the evil spy, manipulated the poor Arab butcher. You cannot play some kind of double agent in art. People don't get it. Do you think the lefties at the performance will applaud to how good I am at being bad? So, you get it. If you are not against us, it means you're with us. Get it, habibti?" In a split second this question opens all ethical doubts I have about myself. In order to convince the officers to participate, I restrained myself from declaring my political position to them. For months I have been pretending on so many levels that I am not sure anymore if the audience would ever be able to recognize the truth, if there is one after all. I swallow it all and answer, "All the time, Tipp," as he pumps up the volume of A Tribe Called Quest. We drive off. Tea Tupajić. Azrieli, Spring 2014 - Summer 2015 with D.
I tell D. that unless I record his voice no one will believe me any of this ever happened. Since we cannot record any of our usual conversations, I propose that we simply chat about our favorite topic - spy movies. 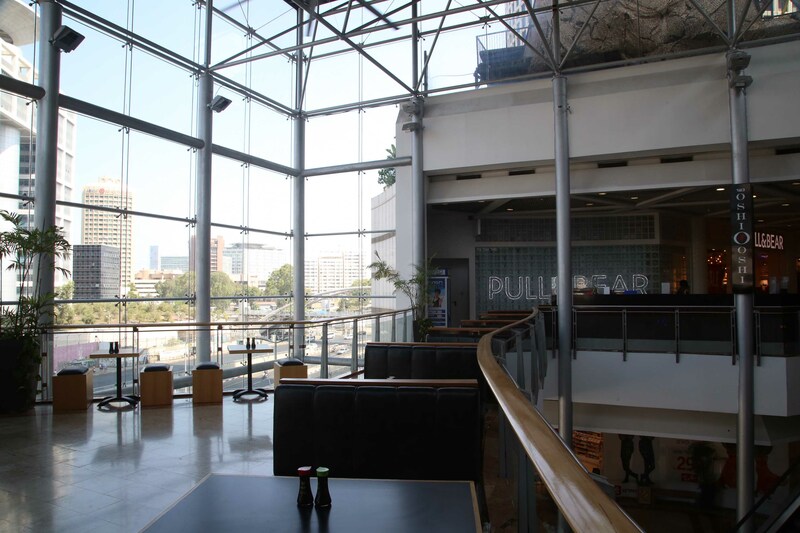 We meet at our "location B," the sushi bar in the Azrieli shopping mall in Tel Aviv. He orders a soda and I try to figure out how to use iPhone Dictaphone. We speculate about what would happen in the next Bourne movie. I ask him if he has ever learned anything from a spy movie. He mentions a "nice trick" he saw in a scene from "The Untouchables," where a police officer, played by Kevin Costner, catches and kills a member of an alcohol-smuggling gang. He later catches another member and interrogates him, with the corpse in another room. In order to make the second gang member talk, the police officer decides to make a manipulation. He exits the room, takes the corpse of the first gang member, pretends to speak to the guy, and shoots him again, with the interogated person watching the whole scene through the glass window. D. adds that today, in a democratic society, one is not allowed to do such things, but that it is still a good example of a manipulation, of a creation of a belief. We laugh. After he leaves, I cry in the toilet of the Azrieli mall. I don't think I can handle this. O. says that he will be in the performance only if he is not seen. I steal the idea for his task from the BBC series "Spy". As agreed, I let the audience wait in the courtyard of Gabirol - a center for culture and art in Tel-Aviv - for 20 minutes. In the courtyard we put up a small bar, following O.’s request, to create a social situation, in which he can execute his task. O. 's task has two parts. First he is to use the bar situation and ask as many audience members as possible a question: "Where did you park your car?" and record the information on his phone. He can get the information in any way he likes, as long as he doesn't repeat the same strategy twice. 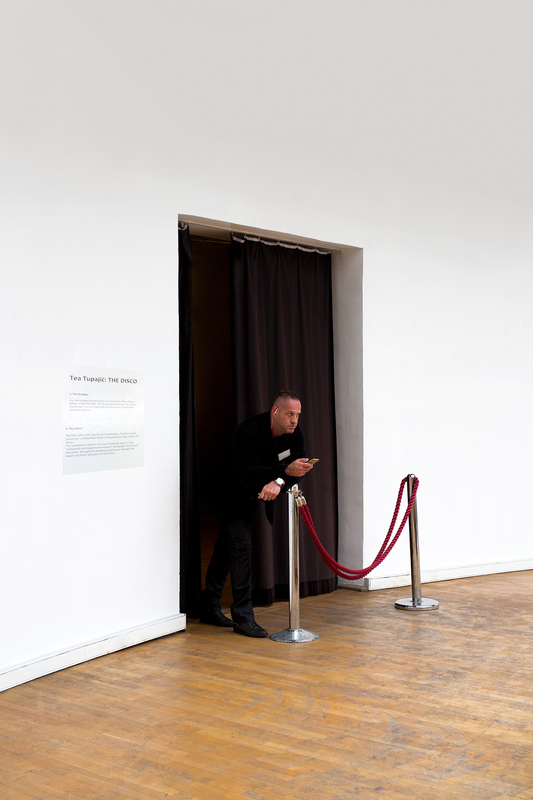 The second part of his task is to stay present throughout the performance as a spectator, without being noticed, even though we play his recordings in one of the rooms inside the building, where the other parts of the performance take place. Most of the audience gathers in the room with W. Her scene is called "The Stranger" and it is simply W. having one-on-one conversations with audience members, with the task of creating a high level of intimacy between them. W. and I created the scene together. The setting consists of two comfortable chairs, for her and the spectator, separated by a small wooden table that has flowers, a water bottle, and glasses on it. Behind them there is a fake antique lamp, spreading soft yellow light. W. brought the lamp from her home. The audience is invited to sit on comfortable cushions on the floor. As I roam the building I hear the audience referring to her as a psychologist. Indeed, after a few hours, the scene starts to resemble a New Age self-help session, with the audience discussing their most intimate issues with W. I can't judge if audience members understand the perversity of the manipulation W. and I have created, or if they are just so hungry for an intimate conversation that it doesn't even matter. There is a scene on the first floor where the audience, instructed by two members of the Duvdevan unit, enacts a scene of an arrest of a terrorism suspect in his home at night. The participating audience is divided into two groups. One half is the military Duvdevan unit, and the other - a terrorist and his family. During the execution of the arrest, despite the soldier’s special training in slow and quiet movement, it often happens that the children of the terrorism suspect wake up and start crying. The soldier is then instructed to take the child and say to him/her in Arabic: "Don't be afraid. We are the Israeli army." In the rehearsals we discuss how the "performers" would teach the audience to cry like an Arab child. M. and N. say that it is strange how the same thing, when it is shown in a theatre, looks worse then it is in reality. They ask whether I think the audience enacting the scene might want to change it and, for example, have the child kill the soldier. I say that I don't know and I ask what would they do in that case. They say they would let it happen; after all "it's only theatre".